Richard Hoggart died recently, aged 95. He was the author of The Uses of Literacy (1957), one of the most influential books published in the decades following the Second World War. It was a study of working-class culture and the impact of what could be called the Cultural Revolution – not Mao’s monstrosity – which followed that war in the 50s and 60s of the last century. For Hoggart, however, there was within this Cultural Revolution a large helping of what he saw as monstrous as well. Was he a portent of what Bentley Hart was to describe this month? Perhaps. For Hoggart, ‘Fifties and ‘Sixties popular culture was not some kind of new Renaissance but was “full of corrupt brightness, of improper appeals and moral evasions”, tending towards a view of the world “in which progress is conceived as a seeking of material possessions, equality as a moral levelling and freedom as the ground for endless irresponsible pleasure”. He railed against that icon of the age, “milk bars”, probably the Anglo Saxon equivalent of the “drug store” hangout of the Jets and the Sharks of West Side Story. These he saw as inducing “a sort of spiritual dry-rot amid the odour of boiled milk”. The manipulation of generations by those he called he called “the mass publicists” was so all-pervasive that genuine native popular culture was destroyed by the toxic confection produced by these. His thought in some respects might be echoed in the ideas of Pope Benedict XVI on the evil of relativism. Relativism for Hoggart “leads to populism which then leads to levelling and so to reductionism of all kinds, from food to moral judgments”. 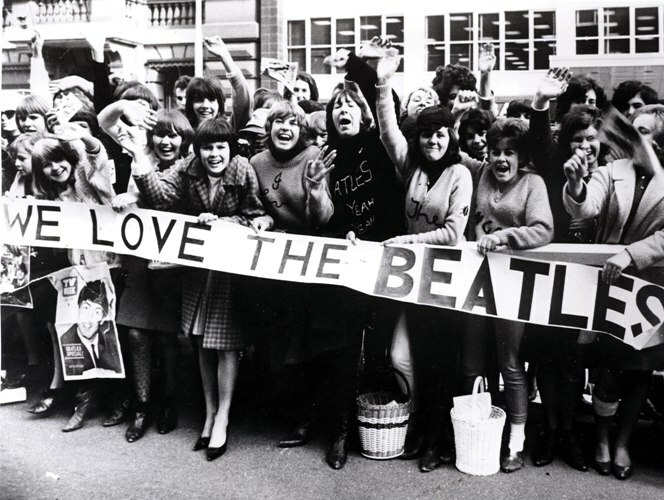 In Hoggart’s judgement, those who might argue that the Beatles and Beethoven could occupy the same plane of appreciation represented a “loony terminus”. Perhaps the irony inherent in the life’s work of Richard Hoggart is that in his attempt to correct the evils he saw overtaking our cultural life, he pioneered the discipline of “cultural studies”. He is seen by many as the father of this discipline. This was then taken over by the theorists of mass culture who proceeded to install the Goddess of Relativism on the high altars of all our universities and thus created the very desert which David Bentley Hart describes.